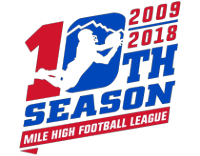 -5TH GRADE: GM #28 5250 JR. BUFFS VS BRONCOS WILL BE MOVED TO SUNDAY, APRI 14TH TO BE PLAYED AT VANTAGE POINT HS, 2:00 PM GAME TIME. -2ND/3RD GRADE: GM #22 JR PANTHERS VS CO REAPERS GAME NOW MOVED TO DENVER WEST HIGH SCHOOL TURF FIELD. GAME TIME IS 11AM. -6TH GRADE: GM #23 JR. PANTHERS VS NO. BRONCOS WILL NOW BE PLAYED AT 5:00 PM AT DENVER WEST HIGH SCHOOL. All morning games have now been delayed at least two hours, moved or rescheduled. Check your game schedule. 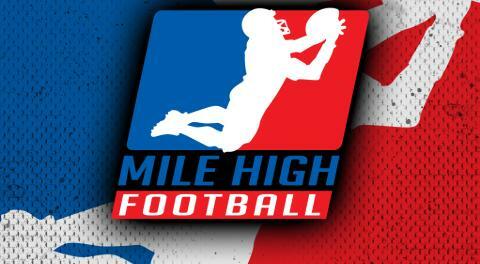 There is a possibility of moving games to Denver West HS if your games are Silver Hills MS or Vantage Point HS. We'll keep you posted via email, Facebook and on this site with an update at 9:00 AM. All afternoon games will remain the same and played at their scheduled times.